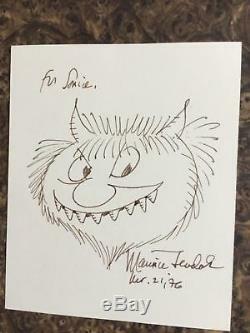 Here is a very rare, beautifully done, signed hand drawn illustration of the character'Moishe' from "Where the Wild Things Are", by Maurice Sendak (dated March 21, 1976). The drawing was done for, and dedicated to, a family friend named Sonia. 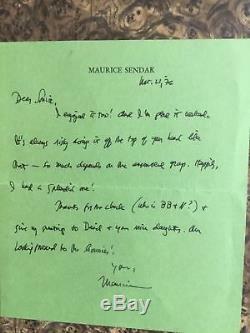 Along with the drawing is a hand written letter to Sonia, also signed, by Maurice Sendak, on his very own personal stationary. The d rawing is 4 3/4 x 5 3/4, done on thick card stock. 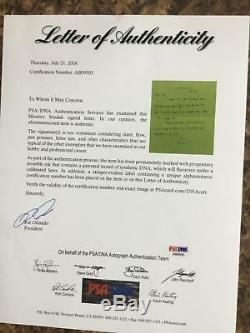 The letter is 6x 7 in size. The framed piece measurements are 25" x 11 1/4". 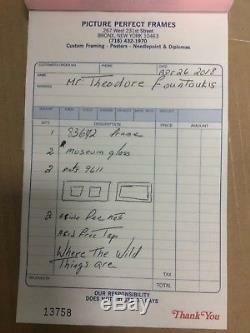 It has been professionally matted, custom framed, and topped off with Museum Grade UV Protective Glass (front and back). No expense has been spared to preserve and showcase these rare gems. 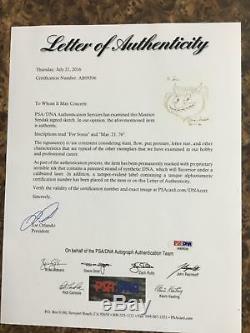 Both drawing and letter have been examined and authenticated by the world renowned Authentication team at PSA/DNA and come with Letters of Authenticity for each item. 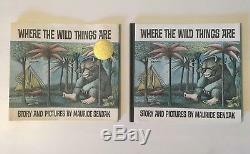 Also included, is a 1963 Edition of "Where The Wild Things Are". More pictures of the book are available upon request. 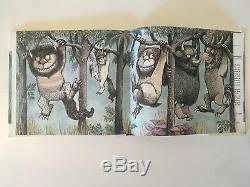 Maurice Sendak's artwork rarely comes up for sale. 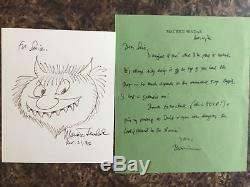 The item "Maurice Sendak Signed Personal Letter Moishe Drawing & 1963 Edition Book PSA/DNA" is in sale since Wednesday, February 7, 2018. This item is in the category "Art\Art Drawings". 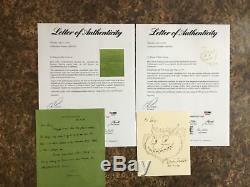 The seller is "imfun2kis" and is located in Bronx, New York. This item can be shipped worldwide.